'The pride of Tottenham' - Most Arsenal fans couldn't resist taking this dig at their rivals | The Transfer Tavern | Where football transfer rumours fly or die! Yesterday, the Arsenal fans on Twitter were all enjoying the World Cup final as France were dominating Croatia and took a 4-1 lead. However, a serious howler from France and Tottenham goalkeeper, Hugo Lloris saw Croatia pull one back and gave the Gunners a great source of entertainment even though Les Bleus went on to win 4-2. Hugo Lloris will certainly not be thinking about his clanger last night. Most of the French squad will be nursing sore heads this morning after winning their second ever World Cup, 20 years on from their last triumph on home soil. Didier Deschamps side had a point to prove after being stung by Portugal in the Euro 2016 final, losing 1-0 to Cristiano Ronaldo and co despite the fact they were favourites and playing at home. For the most part, France looked worthy of winning football’s greatest prize and a lot of Spurs fans will be proud of their skipper, Lloris for his achievements in Russia. 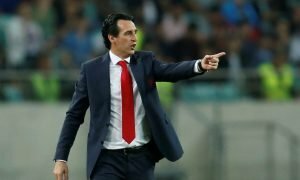 The Gunners have taken a different approach and have been comparing the Frenchman to Loris Karius after his comical mistake cut the French lead to just two goals with 20 minutes left to play in the Luzhniki Stadium yesterday. Ultimately, fans won’t remember Lloris’ blunder but for now, all those associated with Arsenal will be getting a kick out of it. I’m sure ye gunners would like this..
From the handful of tweets above, you can see how much The Gunners enjoyed watching Lloris’ error yesterday.